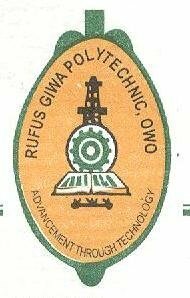 Rufus Giwa Polytechnic, Owo (RUGIPO) New Date for Commencement of Lectures in all Departments for First Semester, 2018/2019 Academic Session. Authorities of the Rufus Giwa Polytechnic, Owo (RUGIPO) wishes to inform all Fresh Students that the lecture for first semester commences on Monday, 4th February, 2019. The clarification made above which is in respect of approved Calendar for the 2018/2019 Academic Session is for the attention of all members of the Polytechnic community, please. be guided.